Performed and produced by "Jack ‘n’ Gary"
The Hendersons were wire-walker, equestrian, trampolinist and clown John Henderson and his wife Agnes, the daughter of circus owner Henry Hengler. The Hendersons travelled all over Europe and Russia during the 1840’s and 1850’s. The ‘somersets’ which Mr. Henderson performed on ‘solid ground’ were somersaults, ‘garters’ were were banners held between two people and a ‘trampoline’ in those days was a wooden springboard rather than stretched canvas. 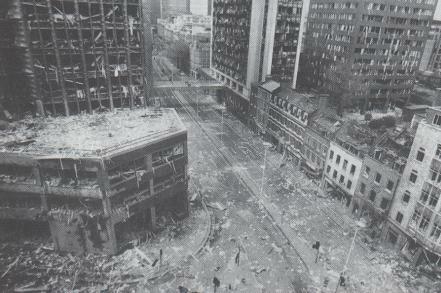 The Bishopsgate bombing occurred on 24 April 1993, when the Provisional Irish Republican Army (IRA) detonated a truck bomb in London’s financial district in Bishopsgate. One person was killed in the explosion and 44 injured, and damage estimated at £1 billion was caused. John Henry (March 9, 1975 – October 8, 2007) was an American Thoroughbred race horse who had 39 wins, with $6,591,860 in earnings. He was twice voted the Eclipse Award for Horse of the Year in 1981 and 1984, with his 1981 selection is the only one whereby the victor received all votes cast for that award. 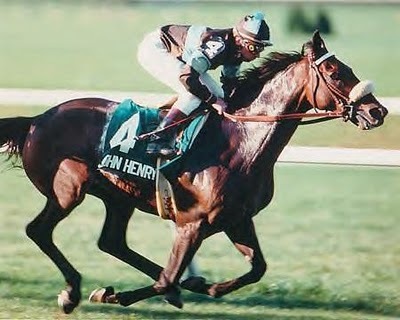 John Henry was also listed as #23 – Top 100 U.S. Racehorses of the 20th Century. William Kite came from a circus family. 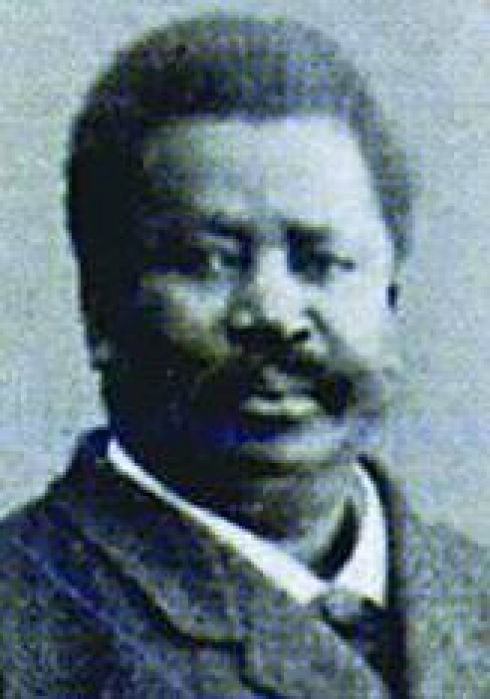 Born in Lambeth, London, about 1825. His father, James Kite was a circus proprietor, and the first to visit Knott Mill Fair, Manchester, in 1806. 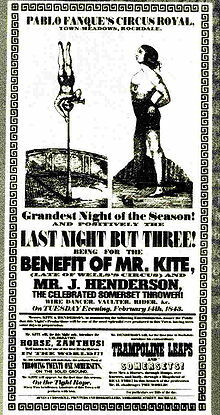 James Kite formed his own company around 1810, traveling as "Kite’s Pavilion Circus." Jack Petruzzelli and Gary Schreiner first met performing and recording together in the Joan Osborne band. While on tour in Switzerland, they became best of friends, roomed together and eventually became known as "Jack ‘n’ Gary". A clubhouse was formed, then business cards, international fans and fan mail. Soon, came the "Jack ‘n’ Gary’s Clubhouse" newsletter, ("All the News that fits Comfortably" ) as well as a TV pilot, "Jack ‘n’ Gary’s Clubhouse" (Where a Good Time is Had by All!). 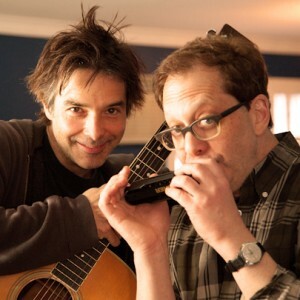 Jack and Gary continued their careers both separately, and together, collaborating on many projects, performing together live and in the studio, as well as writing songs, TV commercials and film music. and Gary, a member of The Nutopians, celebrating the music of John Lennon.